The book goes into how we collectively use terms to define studying as a battle. Hitting the books is the first one that comes to mind. We focus on the results and not the learning. This makes us anxious and stressful. Part 2 is the part I found most interesting. Each chapter walks us through a different stressful obstacle a student can face and how to approach it using mindfulness. Like I said earlier, I wish I would have been exposed to these ideas when I was younger. I would have been a better student and enjoyed the process of learning much more. The only thing I think could make this book better would be to have a chapter written for parents. If it is an overbearing parent that is the cause of result driven stress, convincing them to support their child as they practice mindfulness would be highly beneficial. My guess is most parents have not been exposed to these ideas and still view studying as they did when they were school. Aligning their goals would greatly increase the chance that the techniques taught in this book will work. Check out the book if you are a student that is looking for a way to embrace learning and reduce the common forms of stress associated with studying. I also think parents of students should give this a read. The second book was The Ray Peat Survival Guide. I bought it for three reasons. I was looking for a book that would clarify some of Ray Peat‘s writings. His articles on nutrition can be overwhelming. I understand a lot more than I did a year ago, but I’m always eager to learn more and improve my understanding. I liked another book Joey Lott wrote, so I figured he would do a good job explaining a complex topic. As much as Ray Peat is worshiped by some on the internet, there is an absence of well written summaries of his research. Danny Roddy shutdown his website and went all newsletter. Foolish move. Functional Alps is just a useless dumping ground of abstracts with no analysis. I’ve stumbled on other sites, most used writing more complex than Peat himself, so I found them of no use. The book was a disappointment and maybe it is my fault for buying it. I just ignored the word “Survival” in the title. Instead of being a book to explain complex ideas in easy to understand language, it assumed you knew the principles of the diet and why you did them. The book was primarily about not being super strict with the diet. Since reducing stress is a key component of the Peat diet, it is wise not to get stressed about following the diet perfectly. If that is a message you need to hear, get the book. 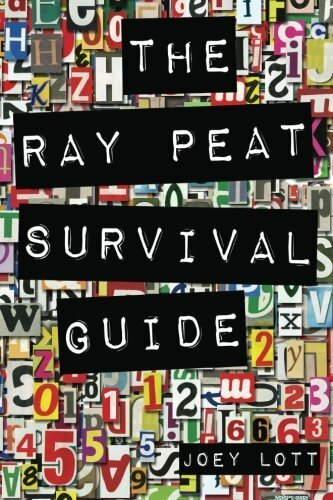 If you want a deeper understanding the reasons for Peat’s recommendations, the Ray Peat Survival Guide isn’t going to help you. 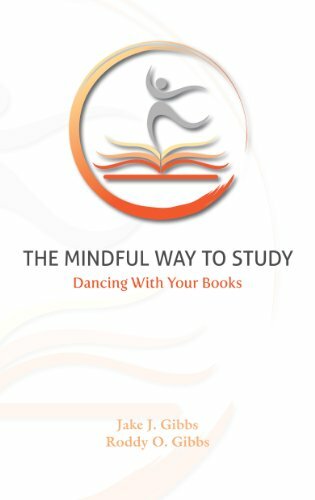 Disclosure: I received a Kindle copy of The Mindful Way to Study with a request to review it, which did not influence this post. I paid for the Ray Peat Survival Guide. The Survival book cover looks like a ransom note out of a B grade movie. What does that say about the author’s opinion of Ray and living by his principles? Michael, sorry to go off topic here, but i need. Yesterday i had the most intense Hillfit bodyweight workout in months. I put all effort, resulting in a TRUE HIT workout (catching breath on the floor). Like you said, it “clicked”. The workout was around 3:30 PM. But, going to bed at 10:30 PM, when i was falling asleep, i had a surge of adrenaline (the same when i was in low-carb diet), my hearth pounded (think a heart punch in my chest) that lead me to insomnia until, i guess, 4:00 or 5:00. Well, after some years battling poor sleep, i know that the main factor is elevated cortisol. This puts the adrenals into “fight or flight” mode, releasing adrenaline on the system. Today i feel like hit by a truck too (just remembered that you said about the after day ina TRUE HIT training). But, my question is, could the instensity be too much? Did you felt these symptoms too? P.S. : i did bodyweight focusing on unilateral exercises, just supporting and helping with the other member. The instensity was new to me and multple times harder. @Marcelo – After my first real HIT workout, legendary trainer Greg Anderson told me that I would likely go home and take a nap. As someone that almost never naps, I didn’t consider his words to mean anything. But once I got home I was out cold. The intensity can be too much if you don’t allow time to fully recover. Maybe a trainer could add some additional comments. You will adapt. You will learn to deal with that intensity better. Thank you MAS. After the workout i felt my body a little shaking and the need for complete rest! I will extend the rest for complete 7 days, trained last wedsneday then yesterday, maybe the recovery was impaired. @Marcelo: Are you on a LC or VLC diet?